Sure, medical progress has been astounding. But today the U.S. spends more on healthcare than any other country, with so-so outcomes. Atul Gawande — cancer surgeon, public-health researcher, and best-selling author — has some simple ideas for treating a painfully complex system. Healthcare is obviously a big deal. Medical treatment per se, but also the healthcare industry, and access to it. Also the politics, and the economics of healthcare. In the U.S., we spend more money on healthcare per capita than any other country: it totals about 18 percent of our G.D.P. And yet our health outcomes aren’t anywhere near the top. Why not? Well, there are a lot of reasons — many of which we’ve already looked into on this show. In episodes like “How Do We Know What Really Works in Healthcare?” and our three-part series called “Bad Medicine.” Today, we’re taking a far simpler approach to exploring the state of healthcare and its assorted conundrums. Today, we’re just having a conversation with a doctor. A doctor in Boston. But not just any doctor. Atul GAWANDE: Okay. I’m Atul Gawande. I’m a surgeon at Brigham and Women’s Hospital and director of Ariadne Labs, a Center for Health Systems Innovation at the Brigham and Harvard School of Public Health. And then I write for The New Yorker. Stephen DUBNER: So not only are you a surgeon and a researcher and a professor, but you’ve also written four really excellent books. Honestly, much better than many of us who only write books for a living. So I did just want to say on behalf of all my fellow writers: we hate you, and we would prefer that you stop writing books, if you don’t mind, and leave it to us. No, seriously though, how are you able to be as good at that, when you’re doing two or three other things? And let me preface that by saying that I’ve often observed that of all the professions who also are authors, I do think that doctors are the best, if you look through history — Chekov and on and on. And I do wonder if there is something in the pursuit of medicine that you feel is closely tied to the pursuit of writing. GAWANDE: I do, and I’ve often thought it was a little bit unfair — like I was a sort of fake New Yorker staff writer — because I had this daily exposure to the human experience in a way that my colleagues on the staff had to go out and find. Like, I just had to go to work, and you’ve got people who are — we’re gonna break some terrible news today, or we’re going to have to do an operation that could go well or they might not. Or maybe we’ve figured out we can’t actually do the operation. And then, everything else is layered into that. You have family dynamics. You have money. Boy, do you have money as an issue in this world! That little surgical checklist was the topic of one Gawande book, The Checklist Manifesto. He argued that medicine could really benefit from the sort of basic, careful attention to detail that’s already being practiced by people like airline pilots. His other books are Complications: A Surgeon’s Notes on an Imperfect Science; and Better: A Surgeon’s Notes on Performance; and the book for which he’s best known: Being Mortal, which wrestles with decline and death. We’ll hear about all of that today. We’ll hear how truly complicated medicine can be, we’ll hear about some simple solutions, and we’ll hear why Atul Gawande is not at all like you and me … at least not me. DUBNER: I’ve always wondered; you’re a productive fellow, and I’m just curious how a typical week or month — I have no idea what the cycles are — but, how do you break up your various duties? Do you try to do some of everything in every day? Are there weeks where you go without operating or writing? How does that work? GAWANDE: I’ve never figured it out, to be honest. Every day is a problem to solve how I get the things I’m interested in doing get done. But I’d say it’s probably on a daily cycle, so I might have a day in the operating room or in the clinic. But then the next day I’ll be entirely focused on my work in public health. And then I might be traveling and giving a lecture or visiting one of our research sites. There’s a dominant theme to the day, and then I’m piling everything else around it, and my main parameters are: I really, really work hard to have about twenty-five percent of my time on schedule, and I make sure I get enough sleep most of the time. GAWANDE: You know, I don’t really; I’m in the flow. One of the things that I love about surgery is: it is, I have to confess, the least stressful thing I do, because at this point I’ve done thousands of the operations I do. Ninety-seven to 98 percent go pretty much as expected, and the 2 percent that don’t, I know the 10 different ways that are most common that they’ll go wrong and I have approaches to it. So it’s kind of freeing in a certain way. DUBNER: You mentioned money seemingly touching or influencing everything you do — what’d you mean by that? GAWANDE: Well, I remember coming into practice as a new surgeon in 2003, and 15 percent of my patients were uninsured. I’m a cancer surgeon, and we would have to figure out like, “How do we get free care for this person? What are we going to do for their radiation treatments?” I had a college student, who had bought a policy that seemed great because it was so cheap and then it turned out that it had a $75,000 limit, and she had a metastatic cancer — curable, but she needed one more thing after surgery and chemotherapy, which was going to be radiation. She didn’t want us to tell her family, because she was afraid they would mortgage their house to pay for it. And of course we did tell the family, and then of course they did take out a second mortgage. And there’s all the ways I get paid. My patients are covered by 56 different insurers the last time that I checked. All paying completely differently. It’s kind of impossible to figure out what’s one going to pay versus another going to pay. I pay $29,000 a year for malpractice insurance, which is incredibly low compared to what many people do around the country. And so even that, why is ours lower? It turns out we have a very effective insurer that we work with. So there’s interesting puzzles on every little corner of it. And sometimes tragic problems in the middle of it. I now am seeing patients routinely with $2,000, $3,000, $5,000 deductibles, and some of my patients that I specialize in have relatively rare conditions. For example, one set of patients I take care of have a genetic syndrome called Li-Fraumeni, where they have a mutation called P53 which in a gene makes it so they’re forming cancers all the time. And most of them don’t make it to 40 years of age. We’ve learned how to monitor them. We’ve learned how to step in. We have removed multiple cancers from people, and we’re getting them past 40. And then lo and behold, their spouse buys the cheap policy, which means that we’re now out-of-network and so they’ve decided they have to go to a place that doesn’t have a specialist. And it’s painful because I’m watching them get inappropriate care now that could harm their life. So that’s what I mean by money. It’s everywhere. DUBNER: So every time I ask you a question now, I feel like I’m using up time that should be spent better saving someone’s life, but but I’m going to keep asking them. So, how has the Affordable Care Act changed your own universe in terms especially of payment and the treatment that comes with it? GAWANDE: Yeah, the dramatic change really proceeded the A.C.A. because I’m in Massachusetts, and so we got a preview with Romneycare, where we got to have universal coverage come to Massachusetts through a plan a lot like Obamacare. And so now it’s been a decade. And within a couple years I no longer had uninsured patients. I haven’t seen an uninsured patient in about a decade. And then you go to Texas where the rate of uninsurance is that one out of five people have no coverage for their basic needs. The other big thing though is that as the costs have gone up and the cost-sharing has gone up, it’s been dramatic to me to see people who now have deductibles in the thousands of dollars routinely making decisions — you can see people are not filling their high blood pressure medication, and they’re not taking their statins for cholesterol control, and things like that that have long-term consequences, but on a day-to-day basis don’t feel any different. Gawande grew up in a medical family: his father was a urologist, his mother a pediatrician. They had moved to the U.S. from India in the early 1960’s. Atul was born in Brooklyn and raised in Ohio. He studied biology and political science at Stanford; then P.P.E. — philosophy, politics, and economics — at Oxford, as a Rhodes Scholar; and then he got both his M.D. and a master’s in public health at Harvard. GAWANDE: You’ve gone way back into my childhood. DUBNER: Yeah. And then I understand that while you were in med school, you deferred completion to become Bill Clinton’s healthcare lieutenant during his ’92 campaign. So, from what I can tell that was your last political involvement in that regard. I’m curious what that experience taught you about the differences between academic or theoretical healthcare and real-world healthcare, especially the political dimension, especially the paying-for-it dimension. GAWANDE: Yeah, a ton. There is a fundamental disconnect often between the academic work and the work needed to answer the key questions that people in the political sphere are trying to answer. Often people are trying to come to experts for technical answers to questions that don’t have a technical answer. The case in point is the Affordable Care Act. The trouble is that people fundamentally disagree on what the goal of the healthcare coverage is. Is it to free up a trillion dollars for a tax reform? Is it to secure universal coverage for all? Is it cut costs? You can’t take a trillion dollars out of the healthcare system and make healthcare better at the same time and increase coverage in a short time frame. In government, it was fundamentally about: the budget is your values. And the technical and academic stuff often submerges those debates instead of actually having them straight on. DUBNER: Your research center, Ariadne, is named for the Greek goddess of labyrinths. So I’m curious: I gather the implication there is that the medical or healthcare scenario at least in the States these days is fairly labyrinthine, and you are known for seeking out simple and scalable ideas to make healthcare better. So talk for a moment about the degree to which you believe in the power of really simple ideas to address a situation or a set of problems as labyrinthine as the ones that we currently have. GAWANDE: I believe really strongly in that potential. There’s three basic problems: How do we have access to care? How do we tackle the cost? And then most important: if you have access to care, is it being delivered in such a way that you get the benefit of the last century of discovery that allows us to live 80 to 85 years typically? We’re drowning in the complexity of the knowledge that’s been discovered over the last century. So for example the biggest killer in the country — and indeed in the world now — is high blood pressure. You have a billion people in the world who have high blood pressure. Only 14 percent have it diagnosed and under control. And the medications that control blood pressure have been around for decades. It costs pennies. And we’re not following through on it. How do you make it simple for people to be able to take your high blood pressure medication? We have a delivery system that basically relies on the idea that you’re going to come in for a 20-minute appointment with your doctor. And that is the only way that we are going to work with you. And a combination of email and phone and not even having to see a doctor most of the time is demonstrated to get to 80 to 90 percent levels. And so there’s many opportunities like this. DUBNER: And, by the way, why is that medication in particular still a prescription medication? What’s the point of that? GAWANDE: Well, if your blood pressure is too low or you take a diabetes medication and your blood sugars get too low, that is also harmful for you. So the capacity to have medical oversight and make sure that you’re getting the right medications in the right way is critically important. But there are lots of ways in which someone working with a nurse can manage for themselves and not have to have the doctor involved every few weeks. DUBNER: When you talk about the different mechanisms to get patients to comply with taking a medicine as simple as hypertension treatment, I’m just curious, why leave it to human error, especially when we know that humans are really good at making those kinds of errors or at least not completing those kind of tasks? I mean would you, if left to your own devices, be putting statins or hypertension medicine in the drinking supply? Would you want to use CRISPR-like technology to eliminate the possibility of certain maladies, if possible? GAWANDE: Well, first of all, it seems ironic in the age of precision medicine that we would go to the point of saying, “Well, let’s just give everybody a blanket statin dose. And yeah, some people will be killed, but a lot more people be saved.” We’re perfectly capable of tuning the care we have not only in the highest-income parts of the world, but in the lowest-income parts of the world. And often they’re very simple, cheap systems, like a checklist, that can get really great results, and it’s just a matter of being willing to systematize what we do. Do you want me to give another example? DUBNER: Sure, I’d love it. GAWANDE: On any given day we have 11,000 women who will come into a hospital to deliver a baby. DUBNER: “We” meaning the United States, I gather. GAWANDE: Yes. One out of three will end up having surgery to have that baby, which we know is markedly higher than it needs to be. One out of three will have a C-section. Ten percent of their babies will go to intensive care, which we also know is higher than necessary, and the way we know these things are unnecessary is that the likelihood of a C-section varies from 7 percent to 70 percent depending on what hospital you go to. DUBNER: And what are the big drivers of that variance? And how much of it is a financial incentive? And how much of it is defensive medicine, let’s say? GAWANDE: Well, I’ll just add on one more thing which is that, we will spend 0.6 percent of G.D.P. today doing all that stuff. There are clearly financial drivers, but our team that works on this recently demonstrated that not only does what doctor and system you go to make a difference, but even at that same system, the labor nurse you have can affect the rate of Caesarean section by 250 percent or more. DUBNER: So the mechanisms by which are what? What is he or she doing differently? GAWANDE: We have ideas, but we haven’t really proven them. So the ideas are that the ability of a nurse to walk you through what might be a 20-hour process, to be incredibly supportive, and for a woman who is low-risk, a great labor nurse can make a big difference compared to one who is more likely to pull the trigger and say to the obstetrician, “You know, this isn’t moving along, maybe we should think about a C-section.” And the most common reason for C-section is not that the baby gets in trouble or anything that like that, it’s called failure to progress. We’re still piecing the stuff together, but we ought to be able to figure this out. I mean, we’re spending 0.6 percent of GDP today on this, we should be able to pull this apart and create a simpler, better way of doing it. And that’s the kind of thing that our team takes on. DUBNER: Good ideas often take a really long time to catch on in medicine. Why do you think that is? GAWANDE: In Boston, yeah. Massachusetts General Hospital. And within two months of publishing the result that a gas could render people insensible to pain, it was being used in every capital in Europe. There’s no internet. You had to send news by boat and horse. And within two months people were using it in the capitals of Europe, and by six years later there wasn’t a hospital in the country that was not delivering anesthesia care. By contrast, anti-sepsis, Joseph Lister discovered that if you used antiseptic solution, clean the instruments, your hands, did all that stuff, you could cut infections by 80 percent. And a generation later, you still haven’t gotten to half of the profession doing it. And when I broke it down, I realized there’s a difference between a visible and immediate effect that they had in anesthesia that could be recognized right away, and tackling invisible delayed effects of germs. DUBNER: We like our causes proximate in the world. Don’t we? GAWANDE: Yeah, so you’re trying to get people to take action on something that is not going to matter until a week or two later. The second problem though is the anesthesia solution was not only good for the patient, it was great for the doctor. Surgeons don’t like having a screaming patient on the table. They had to do their operations in 60 to 120 seconds because you just didn’t have that much time when the orderly is holding people down. And having a patient asleep meant you could be meticulous — you were so much happier as a surgeon. And so this was a win-win for both. And that made it spread virally. Now, anti-sepsis was literally pain now for gain later. The antiseptic solution Lister had was carbolic acid. He tried to sell it like you sell Listerine today: the burn is how you know it works. And you had to regulate it; you had to make hospitals do it. You had to change the culture of surgery to be antiseptic, and even today we still have to fight the uphill battle and figure out ways to make it easier to do the right thing. So an example from today: the fastest selling drug in history was Viagra. Immediate and visible effect. And it was very good for the doctors too. My dad was a urologist at the time, and he tripled the number of patients he had in his practice within weeks. And so that was just a tremendous win-win. Surgery checklist: harder to sell. Cuts deaths — we just showed in South Carolina, hospitals that adopted it got a 22 percent reduction in death compared to the hospitals that didn’t complete the process. Because it’s making an investment now for a gain later for many problems which are often not immediately visible to people. DUBNER: It’s interesting, in both of your examples it was the prevention that people ignore and the intervention that of course people gravitate toward. GAWANDE: Yeah, and if you think about it you know, this is climate change, right? It’s the ultimate invisible delayed problem for which we may need to make a sacrifice now, and public health is full of examples like that — it’s that kind of pain now for gain quite later. It’s hard to convince people not to ignore it, because people want to not do the painful thing. 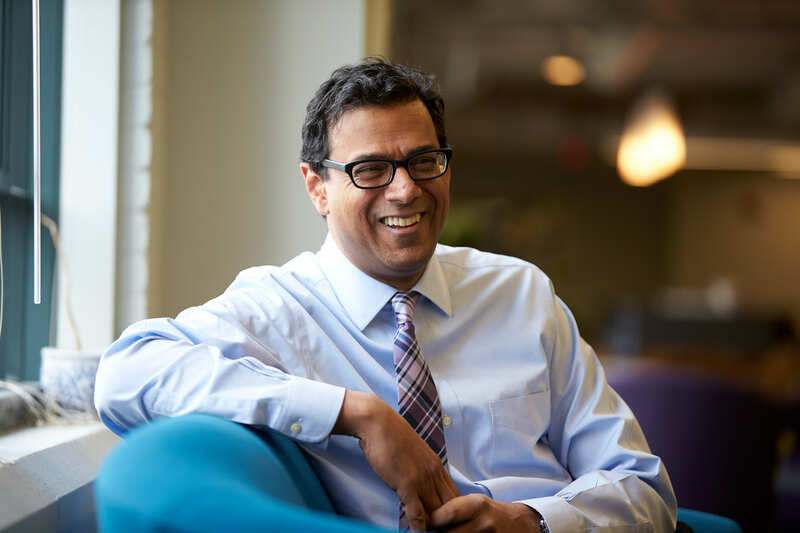 Atul Gawande — surgeon, author, and healthcare researcher — has spent time thinking about the overall complexity of the healthcare ecosystem as well how big gains can be made by reducing basic medical errors. DUBNER: So, Atul, your book The Checklist Manifesto was aimed at and proved really effective at eliminating all different sorts of medical errors. Obviously, there’s been a lot of improvement, but the fact remains — at least as argued by some researchers — that medical errors of various sorts are as high as the third-highest leading cause of death in the U.S. Can you talk about the progress of the medical profession in decreasing iatrogenic effects in medicine, and whether you feel successful reform can come from within the institution? GAWANDE: I do think the pressure has to come from the outside. First of all, two million people a year pick up infections in hospitals that they didn’t have when they get went in. And then you add in that we have been the major source and contributor to the opioid epidemic. I was shocked to find the news and the data indicating that for my patients in surgery, if they are on a narcotic medication for more than seven days, eight percent are likely to still be on that narcotic a year later. And that understanding that it’s that addictive, we didn’t have, and we didn’t build the systems in for that, and then that goes into a system where economically we have the high school-only educated population having a declining economic future, and it fed right into the depths of despair. So we have major areas where we’re made progress, but healthcare is made up of many many different kinds of services and care. DUBNER: Okay, what’s the difference between a typical healthcare system and say, a restaurant chain like the Cheesecake Factory? GAWANDE: You’re referring to the article I wrote about the Cheesecake Factory. GAWANDE: Basically what I was talking about was the idea that, here’s this restaurant chain. And yes, it’s highly caloric, but the Cheesecake Factorys here have as much business as a medium-sized hospital — $100 million in business a year. And they would cook to order every meal people had. And in order to make that happen, they have to run a whole process that they have real cooks, but then they have managers. I was talking to one of the managers there about how he would make healthcare work. And his answer was, “Here’s what I would do, but of course you guys do this. I would look to see what the best people are doing. I would find a way to turn that into a recipe, make sure everybody else is doing it, and then see how far we improve and try learning again from that.” He said, “You do that, right?” And we don’t. We don’t do that. DUBNER: So you identify the three things that something like the Cheesecake Factory does well, better than let’s say a big hospital or hospital chain as quality control, cost control, and innovation around service, okay. So when I read that I think, “Okay, I get the point, and I very much enjoy the argument, especially coming from a surgeon, and it’s provocative and kind of delicious at the same time.” Then I think, “Well, to be fair, there are a lot fewer variables in a restaurant than a hospital. A lot less mystery. And a much higher degree of difficulty in what you’re trying to accomplish,” right? So talk to me about how the Cheesecake model realistically can be, if not applied, at least learned from in a healthcare setting. GAWANDE: Yeah, the level of complexity and difficulty we’re talking about here is on a whole ‘nother scale. So, they’ve got a phone book of a couple hundred different things that they cook up for you when you go into a Cheesecake Factory. In healthcare, for your 13 organ systems, we have 60,000 different diagnoses, 60,000 different ways your body can fail. And we have generated 6,000 drugs, 4,000 medical and surgical techniques and procedures, plus an uncounted number of ways to prevent those conditions, and we’re trying to deploy that capability town by town to every person alive regardless of their ability to pay. Now, I’ve argued that is the most ambitious thing man has ever attempted, that human beings have ever attempted. You have to break it down, and I think there are a few key systems that start with, what is the basic primary care? How do we make sure that the financing optimizes that system? Because that’s one of the most life-extending things that you get to have. How do we make the surgery system work? DUBNER: I feel like I hear so many pieces of the solution from different quadrants, and I guess my wonder would be whether it will work because the medical and healthcare system is obviously large and complex with many players, with many incentives — which are often kind of perversely misaligned. And so I’m curious if you really think that it can be addressed in a kind of radical improvement that it sounds like you want, and we’ll accept the sort of collaborators that perhaps it needs to invite in. GAWANDE: Well the fragmentation will not be solved just by a technical fix like making a better computer system. The big mistake we have, the thing that’s breaking our back now, is that we’ve tied healthcare coverage to where you work. And if you don’t work, well then we’ve got all kinds of systems that we’ve had to then create outside of it, and so it’s become this fragmented mess. And the reality is that work is changing too, so that employment-based, everybody-gets-a-different-kind-of-approach in healthcare is breaking down. The economists Lawrence Katz and Alan Krueger looked at the last decade of net new job growth, and 94 percent of the net new jobs have been in forms of employment where there are no healthcare benefits: freelancers, independent contractors, temporary workers. DUBNER: And that’s good news, because economists always used to worry about job lock, that people were not willing to do what they wanted to do just because they had to hang onto their current healthcare insurance. GAWANDE: The problem is that Obamacare is a stopgap solution, where people who don’t have coverage can go out and buy it. And the hope was that that system would be one that then could grow to become the system. One of the things that we did in analyzing what coverage has done over the last 10 years is we found that it has dramatically improved people’s health status and also generated mortality reductions, but the way it does it is not because it gives you coverage for emergencies. People become more likely to have a regular source of care, and having a regular source of care over time, over years, at about five years you start seeing these substantial reductions in mortality, and that idea that you could have a consistent, regular source of care is crucial to the whole way healthcare now creates its value. In the age of high-deductible health plans, that is disastrous for primary care, because that is one of the things that people immediately sacrifice. DUBNER: Right, so you’re talking now about the value of incrementalism and prevention in medicine. You’ve written in the past, “Governments everywhere tend to drastically undervalue incrementalism and overvalue heroism,” and that goes for inspecting bridges vs. inspecting patients. So the fact is that if you look at the economics of healthcare currently, the highest paying jobs — among doctors at least — are all the potential heroes, the interventionists, the orthopedics, cardiology, dermatology, gastroenterology, etc, etc. And the lowest-paid are all the incrementalists and the preventives: pediatrics, endocrinology, family medicine, and so on. So that would strike me as a big, big, big ship to move considering how much money is at stake, and I’m curious what kind of ideas or solutions you might have for that. GAWANDE: Well, first of all let’s understand why that came about. In the 1950’s, 1960’s, when the basis of insurance got established, it was really only the heroic stuff that we knew anything about. Penicillin was coming in after you had the pneumonia. We didn’t know high blood pressure existed and that it mattered. The dramatic change was that we got the computational power to follow people over time, discover what you could do now that would have a benefit in five years, 10 years, 20 years. In fact, with the data we now have, we basically are all pre-existing conditions waiting to happen, which is why it’s so crucial to have coverage that enables people to be insured regardless of their pre-existing conditions. Now, we want to pay for the incremental needs. Already we’re at about 30 percent of Medicare patients are being seen by clinicians who are being paid and incentivized to keep them out of the hospital, keep them out of the emergency room, and as that happens you’re starting to see health plans that are designed around strengthening the whole primary care base. DUBNER: And there is a lot of evidence, as I understand it at least, that access to primary-care physicians just generally has a pretty great effect overall on outcomes, yes? GAWANDE: It’s murky on the long-term cost. You have to follow for a long time, and it’s still debated about what needs to come together. But if you have a regular source of care for the majority of your medical needs — and it’s usually with a primary-care physician — you have improved survival, better infant mortality for kids. You have better overall health, there’s a variety of indicators. DUBNER: I guess that’s also addressing an essential component of medicine generally, which is the feedback loop. So you’re a surgeon, one of the few realms where the feedback is quick and fairly thorough. Can you talk for a minute about the problem of getting good feedback and what’s being done to improve that? GAWANDE: It’s a huge problem. Even in surgery, I don’t have a direct feedback loop to really understand how are they doing 30 days from now? How are they doing 90 days from now? Did the operation succeed, or did it not, in making their life better? You’ll find out a year later what the average result was for your hospital’s patients. In other fields, it’s an even looser one. The radiologist who has to make a call on what the diagnosis is doesn’t often get much feedback on whether they made a bad call — unless they get sued. And that chance to close that feedback loop is crucial when we have now so many more people involved in care, because any one of us only has a piece of the care, and to see the net result requires us to have data. And that’s why it’s so powerful and important, and people have been talking so much about how data-driven healthcare is so fundamental to where we’re going. You basically are peering through a tiny little keyhole pointed in the wrong direction to figure out what happens to people as they journey through care. DUBNER: How firmly do you believe in the digital revolution to really remake the feedback loop in medicine? GAWANDE: Well, we’re in the MS-DOS phase of computerization and healthcare, right? At this point, I’m a glorified data-entry clerk. I spend more time doing data entry in my office than I do seeing my patients. And that’s just broken. So our systems are incredibly optimized for sending bills. I can send the bill in like three keystrokes. But recording an allergy can be four different screens. So it’s not built to set a goal for care and then accomplish it. We’ve seen some early fantastic things. Computerized ordering of medications vastly increased the safety of being prescribed medication. It used to be that the pharmacists were having to interpret the scrawl of a physician, and they’d get the dose and even the medicine completely wrong. So we’re at the stage where it’s ripe for the Apple of healthcare to come knock the C-prompt out. We’re in this incredible flourishing right now, your care is changing dramatically. The biggest user of electronic health records and the fastest-growing users of health electronic health records, are patients themselves accessing it on their phones. Secondly, you have the introduction of apps and the F.D.A. now clearing the way for software applications to be prescribed and given to people as part of their care. We have wearables. That twenty-minute visit that you might have once in awhile could be tremendously enabled through everything from classes you can take in groups, if you have diabetes or high blood pressure, to interactions over applications, email, people doing hospital at home. Acute pneumonia can be treated now at home, not only equal, but often better with faster recovery. DUBNER: I’m curious what evidence there is for the efficacy of patients using electronic health records. Does it make the interaction with the doctor better, or potentially I could see it leading to hypochondria and over-consumption of medical services without better outcomes? GAWANDE: Yeah, so there’s this really interesting movement called Open Notes, where systems open up all your notes, what doctors wrote about you, to full access for you. It started at the Beth Israel Deaconess Hospital here in Boston, and everybody freaked out, like, “People are going to be calling me.” But they’ve found several things: first of all, no tremendous backlash from the patients. The patients were much more likely to understand the instructions and the diagnosis they have. They improved adherence to certain medications that were being measured. The next big move that they’ve begun experimenting with is letting patients enter things into the record too — put their own information in, any kind of logs they have, comment on the notes that the clinicians has, register if they think something might be incorrectly recorded. Patients have found errors in the records, and been able to correct them. DUBNER: I’d love to hear from you on longevity. So after decades of incredibly impressive gains, it seems we’re in some places leveling off and maybe even going back a bit. I’m just curious given medicine, genomics, etc. etc., you’ve written a lot and well about what can be done to improve the current state of end-of-life care. So I’m curious to hear both those thoughts: longevity and what to do at the end, whenever the end comes. GAWANDE: Yes, let me try piecing these apart. Number one, on longevity, so we’re now at about an 80-year life expectancy, and a century ago — in 1900 — the average lifespan was 47 years. So we’re living thirty-plus years longer than that on average with what we’ve discovered over the last century. DUBNER: But we should say, that number was always heavily, heavily, heavily affected by infant mortality, yes? GAWANDE: Absolutely. But it is a huge deal that in the course of this century we’ve cut the likelihood of infant mortality by twenty-fold. That we took the biggest killer of women — childbirth — and virtually eliminated it. We still have a ways to go, but I think the first thing about our life span is that just with existing discoveries and executing on them, I think we’ll be able to push the average person being able to get 85 years and beyond. We’re making discoveries that are already reducing the rate of dementia as a major killer. And that will change I think, the prospects of late-life. So then the second thing is that even though we’re living longer, we’re spending less of that time with disability. And now, that said, we still on average have about eight years of significant disability where you depend on others for part of your daily needs, and that is the big deal to me in the next phase of work that has to be done. Most of where we provide help to people is entirely along the lines of focusing on safety and survival. The focus is on how do we reduce the number of falls you have? How do we make sure you get all your medications on time? Those are all good things, but they have nothing to do with the purpose and joy and meaning of getting to live a life. And people are miserable in these situations where you have to rely on the help of others to prosper in your life. There is, I think, a revolution of, it’s still a minority, but of places that are focused on people’s well-being, not just their survival, as part of their purpose. And that sense of asking routinely the questions that really matter between adult children and parents is what we’re just starting to do. The questions like, “What is the minimum quality of life you’d find acceptable? Can I have a drink at the end of the day? What are your fears and what are your hopes? Even if your health worsens. What your opportunities for growth?” You know, my mom turned 80, and she just moved into a retirement community that is on a college campus where she goes to classes. She writes papers. She gets to do little teaching and lecturing here and there too! And why not? And she needs help, but there’s no reason that you can’t be that way. DUBNER: Does she drop in on a kegger once in a while? GAWANDE: You know, she invites them over for a drink once in a while at her place, and also, she can’t drive anymore, so now she also learned from the students how to order Lyfts. It’s kind of fun and hilarious. DUBNER: Let me ask you this: when I think about what we call healthcare, I think about medicine and then healthcare delivery as two separate channels. And I’m just curious, if you even buy that premise, which area of those two is in more need of an upgrade. GAWANDE: Well, I think they are part and parcel of the same thing. So, medicine and healthcare delivery to me are our ability to address people’s medical needs ranging from being able to work on prevention and primary acute sickness, to managing chronic illness, to mental-health issues and palliative care when you become seriously ill. And that range — which includes diagnosing, treating, helping people stay on track, and managing teams that can do that extremely well — that is medicine, delivered appropriately. And in some sense we want to distinguish between what are the breakthroughs — and we’ve made a century of incredible breakthroughs, and we have more to come in Alzheimer’s, in metastatic cancer, in other unsolved problems like in immune diseases. And as those discoveries come online we have ignored the innovations necessary to make them get to everybody, to be delivered widely, and missed out on the big opportunities. The biggest opportunity to advance health and save lives is really in the systems innovation and not just the front end discovery. The volume of knowledge and skill required to take good care of people has exceeded the capability of any individual in the system, period. No matter how smart you are, no matter how much training as a doctor or a nurse, you simply can’t know it all. And we are now having to move from being cowboys delivering the care — “I can do it all myself” — to, really, pit crews. And the most effective way of doing it is that you have a doctor and a nurse and maybe a social worker and maybe a health coach taking care of a population of patients and dividing and conquering and communicating. And that is what we actually do still only a minority of the time. That’s the big transition we’re undergoing in healthcare, and it affects all of what we discussed: access, costs, and delivery. And that’s where the big transformative opportunity comes from, because the most expensive places in the country are not getting you the best results. It’s often the lowest-cost places, and part of the secret of the lowest-cost places is they behave more like teams. They behave more like systems. DUBNER: Are you hopeful overall? GAWANDE: I am. And the reason why is because I know it’s a freaking mess. But, on the whole, even in the short time that I’ve gotten to be a clinician — it’s been about 14 years that I’ve been practicing as a surgeon — during that time, we’ve cut the number of uninsured by half. I live in a state that completely eliminated whether we have people who are uninsured. It’s not perfect, but a lot of our work in surgery — for example my field — we have cut the death rate by 30 to 40 percent in the time that I’ve been doing this work. While we’ve been cutting the death rate, you now typically go home the same day from these kinds of operations. And then you add in what we’ve been able to do around primary healthcare and the discovery that we can act early in your life knowing genomics, knowing the profile of what you have, knowing things about your neighborhood and your environment. We are delivering more and more capacity for improving people’s health. And then even at the end of the life — less than a decade ago, we had less than 20 percent of people who would be anywhere except in an institution as they came to the end of life. They had higher rates of suffering. They had massively higher costs. And they did not live longer, they typically lived shorter. We’re now at about 50 percent at home, in hospice. The lifespan and coming to the end of life has now become part of our culture and our society, and it’s shifting. So I’ve seen these things happen. I’ve gotten to participate in some of it, and there’s a lot of continued problems we’ve got to work on. There are really big deals and big opportunities, but it’s not like we have failed to make progress. We’ve been moving the ball down the road. DUBNER: Well, you are awesome, and congratulations on your continuing, burgeoning successes on many fronts. GAWANDE: Thank you. That’s very nice of you to say. DUBNER: Well. It’s great to see someone who’s so good at so many things get acknowledged for being good. So I like that. GAWANDE: It’s just waiting for the hammer to come down. Eventually the blow will come. DUBNER: May it never fall. Freakonomics Radio is produced by WNYC Studios and Dubner Productions. This episode was produced by Stephanie Tam. Our staff also includes Alison Hockenberry, Merritt Jacob, Greg Rosalsky, Max Miller, Harry Huggins, and Andy Meisenheimer. The music you hear throughout the episode was composed by Luis Guerra. You can subscribe to Freakonomics Radio on Apple Podcasts, or wherever you get your podcasts. You can also find us on Twitter, Facebook, or via email at radio@freakonomics.com. Atul Gawande, surgeon at Brigham and Women’s Hospital, director of Ariadne Labs, writer for The New Yorker. The Safe Surgery Program by Ariadne Labs.